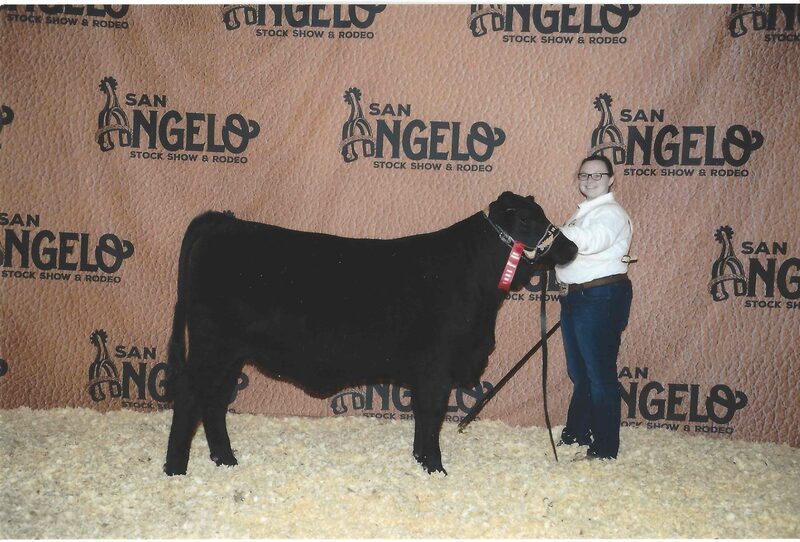 If you’re looking for a heifer bull here he is!! This 20 month old ranks in the top 10% of the breed for calving ease direct, and the top 4% for birth weight. 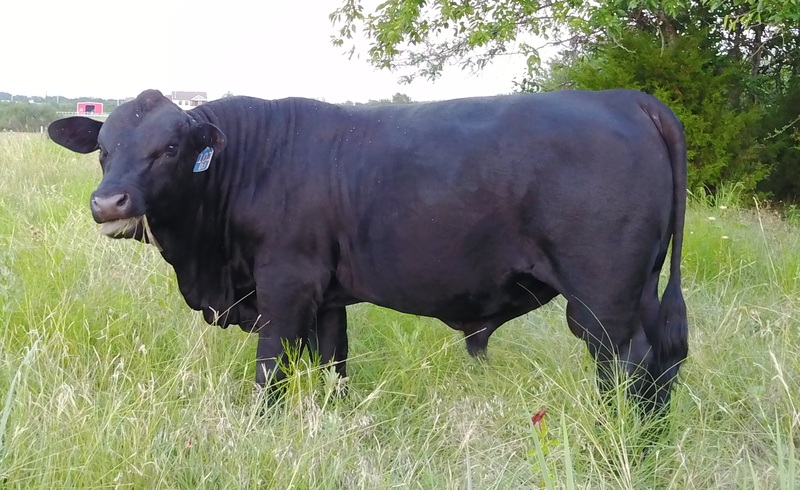 He is backed by a great pedigree, and he is ready to breed. 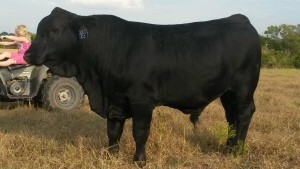 This is a good looking bull with above average growth EPD’s. 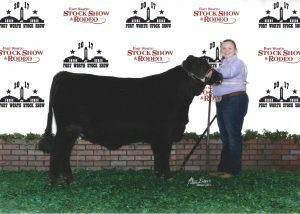 He is sired by CB PASSPORT 803Y11. His dam has always been a good producing cow, good mother and a good milker. He turned one year old on March 1st and has been tested fertile. Priced to sell at $2250. Great job, 5th out of 15th in Houston! Judge commented that this was one of the best looking heifers in the class. Way to go Julia and Rita! 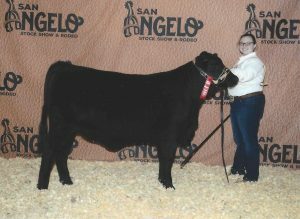 Julia showed Rita at the Honey Grove FFA Fall Showdown on Nov 12, 2016. 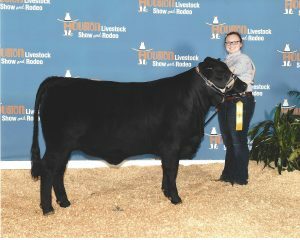 Very happy with the Reserve Grand Champion win. Great job Julia and Rita!! Keep up the good work. 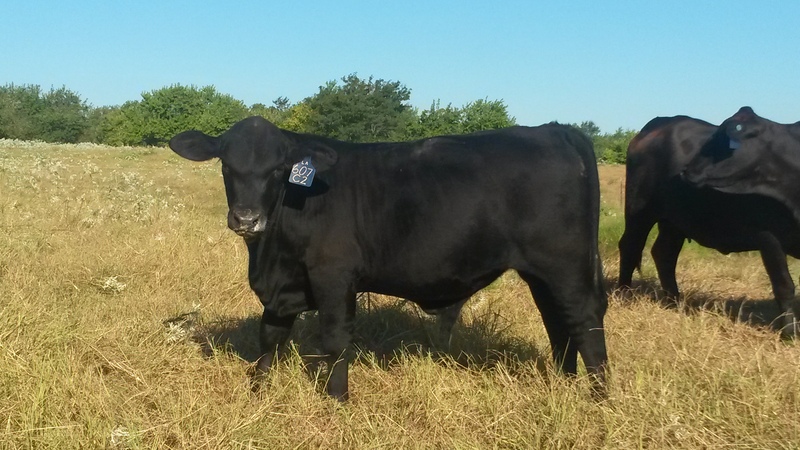 BB MS HOMBRE 392C5 is a great looking bred heifer who was born on 4-2-2015. 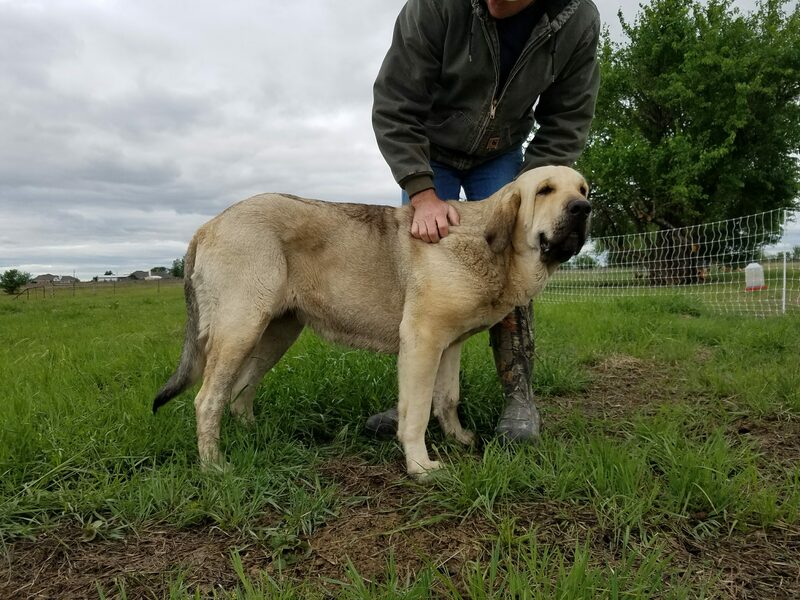 As of the date of the picture, she was 18 months old and 30 days bred. She artificially inseminated on 8-26-2016, and her current expected calving date is 6-10-2017. She is out of a long producing, docile cow who always looks great, an easy keeper. 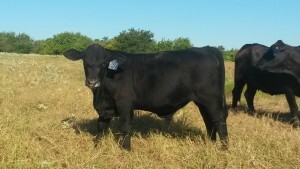 Click 392c5-progeny-report and see a progeny report on this heifer. This report shows her calves EPD potential when mated with some of today’s leading AI sires. She is currently bred to TJM THREE D 302A with an expected calving date of 6-10-2017. Taken on 9 /2/2015 at 6 months of age.